Sam Pratt has published his list of "some of the biggest ups and downs" in the year almost past: "2013 in review." 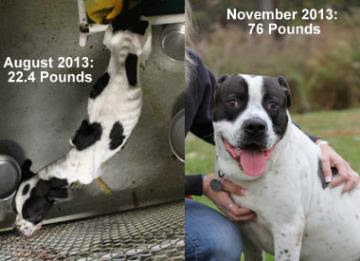 Browsing the Columbia-Greene Humane Society website today, Gossips discovered that the dog, called Aleric and weighing a healthy 76 pounds, was made available for adoption in November. Aleric was frightened and unsocial, unwilling to trust visitors, even those that came bearing treats. . . . He is [now] happier and has discovered what a "real" dog's life entails: playing with toys, going for long walks, and lots and lots of well-deserved affection. Aleric will need a home without young children and without a lot of people coming and going; he would prefer a low-key mellow home to relax and spend the rest of his days in. He will need a home experienced with dogs, seeing as he came from such deplorable conditions and he does not know exactly how to be a "dog" just yet. 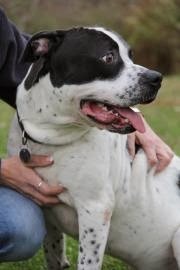 Aleric is still listed on the website among the dogs available for adoption. 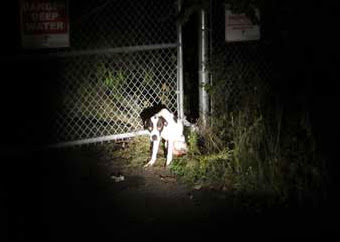 He may have already been adopted, but a call to the shelter to find out has not been returned. Let's hope that, if Aleric has not already found a loving home, he will soon. Happy new year, Aleric! 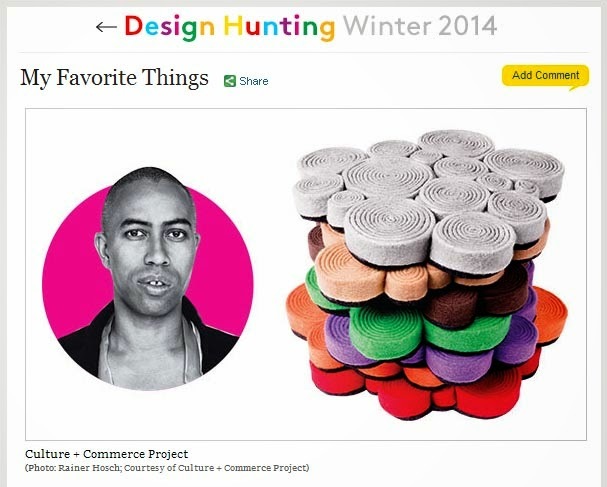 New York Magazine published its annual Design issue a while back, and among the designers' picks in Design Hunting Winter 2014, Stephen Burks named Culture + Commerce Project, right here in Hudson at 428 Warren Street. 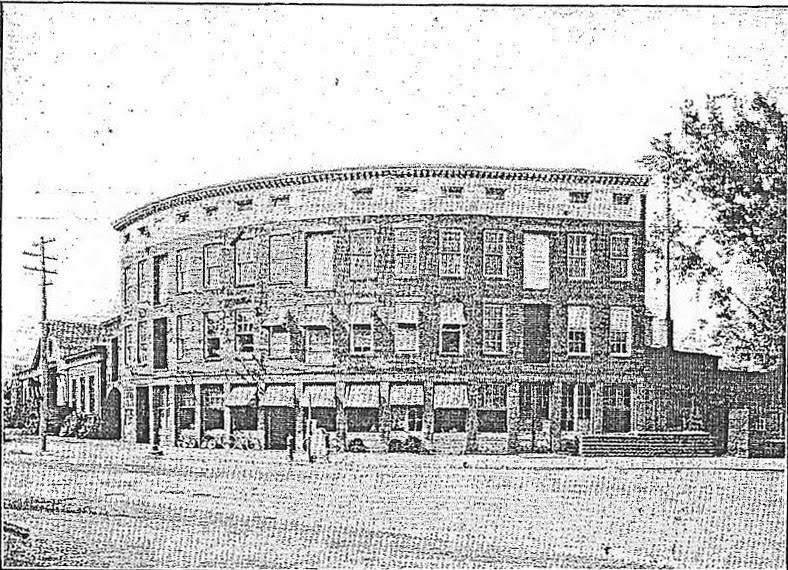 Last Thursday, Gossips began presenting a series of articles that appeared in the Hudson Evening Register in the early days of 1914, inventorying the improvements and developments that had taken place in Hudson during the previous year, 1913. Today we continue this century-old review, with the addition of illustrations and annotations. Electric lights installed in First M. E. church by A. E. Johnson. Charles E. Hessenthaler purchased of William Fardy property at 51 Allen Street. One of the worst floods of city's history occurred here on March 27 and 28. Ebenezer Kilmer, of West Taghkanic, purchased of Miss Gretchen Longley, house and lot at 50 Worth avenue. Frank E. Mesick erected house on Worth avenue, being a one family residence of eleven rooms. 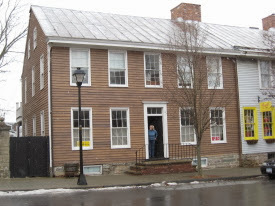 Property on Montgomery street occupied by Thomas Mahar, purchased by George Zappo, from Patrick Burns. Night school at Hudson High school building begun, meeting with excellent success and large attendance. Wilson inaugurated President of the United States and Marshall vice president. Improvements made to interior of various hose houses. John McCoy purchased cigar and tobacco business of Martin Vincent. New gas mains laid; nine new hydrants placed about city. Police Sergeant John Cruise sold his residence at 18 Union street to Samuel Ginsberg. Isadore Goodman bought residence of John Dowling at 249 State street. 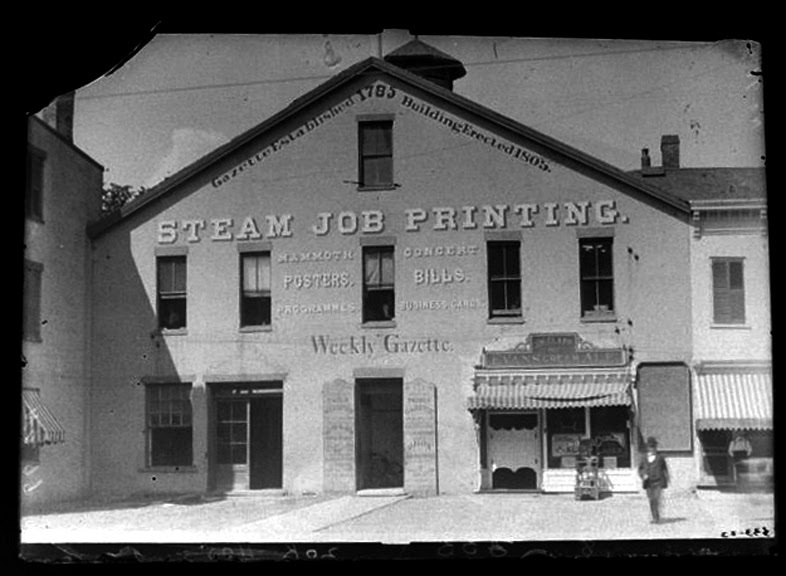 Samuel Law, of 337 Prospect street, enrolls in business for himself, doing excavating work. Charles Weeks has a new house erected on Clinton street. Several new bill boards constructed by city, indicating excellent year for Hudson Bill Posting company. Alderman Thomas Connelly sold property at 247 State street to Michael P. Finn and John Doyle. 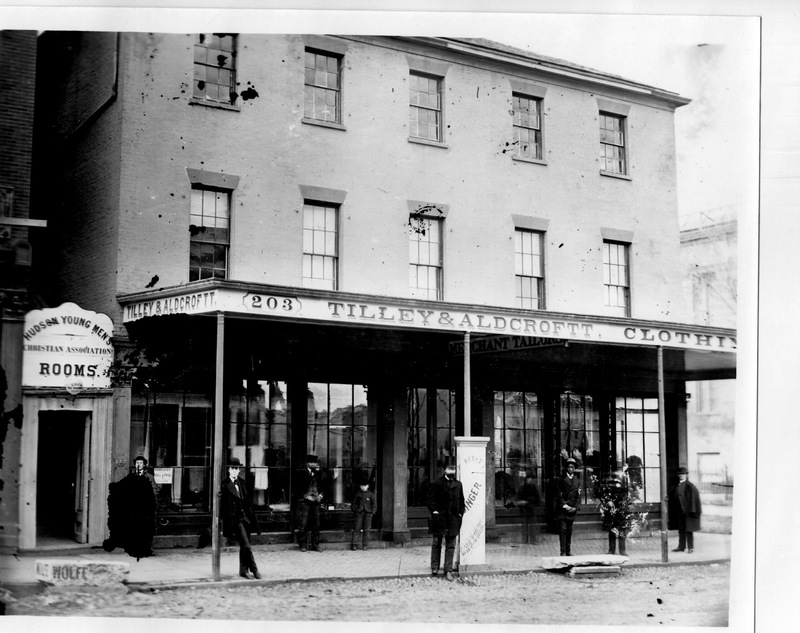 William Friss purchased property of Charles Cramer on Columbia street. Sheriff Robert Storm became owner of the Atkin property at head of Green street, which he put in building lots. General clean up in city May 9 and 10, was a success. Eighteen more cans to receive waste paper and other refuse placed about town. 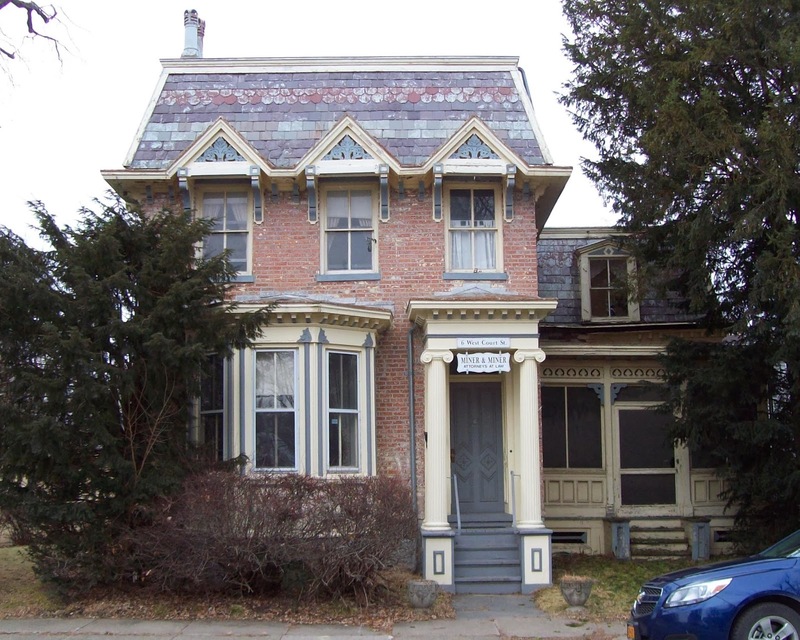 Levi P. Cooper, of 425 Diamond street, purchased property on North Fifth street of Mr. and Mrs. David Kline. William Heintzelman purchased of Mary A. Hudson, property corner of Dodge street and Rope alley. 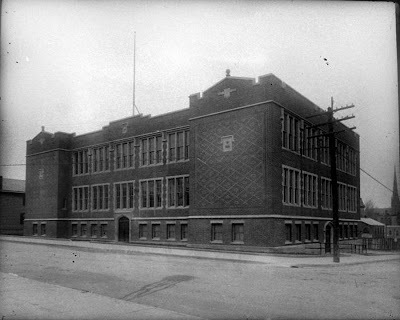 Douglas Hills had old Clapp building on Union street torn down, replacing it with two-family building. 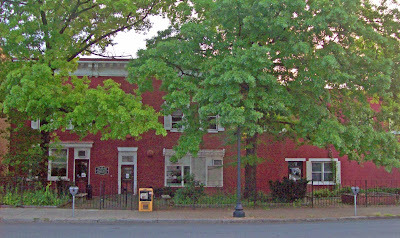 Restaurant of Mrs. Philip Brabender on Warren street enlarged. William G. Williams began an automobile livery business. Elks made big hit with their first annual minstrel show. Addition to Tamarin & Goldstein's furniture manufactory on Cross street. Tilley & Aldcroft's clothing store had perpendicular light installed thereon. The Historic Preservation Commission meets twice a month--on the second Friday and the fourth Friday. At their first meeting, they review applications, determine if applications are or are not complete, and decide whether or not to grant a certificate of appropriateness. In the intervening two weeks, the HPC's legal counsel--these days that's Carl Whitbeck--writes the narrative that explains why the HPC is granting or denying a certificate of appropriateness, and at their second meeting of the month, the HPC votes to approve the language, the chair stamps and signs the document, and it is delivered to the applicant. That's the usual process, but last Friday they bent the rules a little to allow two projects, whose applications had been deemed incomplete two weeks ago, to come back before them. The HPC started out by approving the certificates of appropriateness for a new sign for 320 Warren Street (formerly Kennedy Fried Chicken) and for a fence around the side yard at 39 South Fifth Street. On December 13, the HPC approved a certificate of appropriateness for a store front for 117 Warren Street with the exception of the doors. The doors proposed were molded fiberglass, and the HPC, after encouraging the applicant to use real wood doors, wanted to see an actual sample of the fiberglass faux mahogany doors being proposed. On Friday, December 27, the applicant returned with a new proposal for the doors. It was discovered that a pair of 30-inch doors would not be ADA (American with Disabilities Act of 1990) compliant unless a mechanism were installed that would open both doors simultaneously. The new proposal, which replaced the molded fiberglass doors with doors custom built from genuine mahogany, substituted a single 36-inch door with a 24-inch sidelight for the double doors originally proposed, losing in the process some of the symmetry of the design. Although HPC member Tony Thompson expressed concern about the lack of symmetry in the proposed new design for the doors, in the end, the HPC voted unanimously to approve the design change and to modify the certificate of appropriateness to reflect the change. Another returning project was the roof at 105 Warren Street. 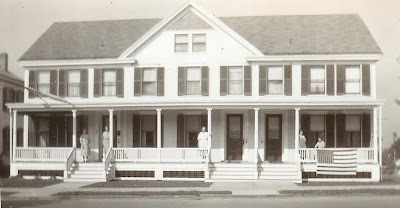 The owners had originally wanted to replace the metal roof with a synthetic slate roof, but HPC members held that slate was not a roofing material that was authentic to the house and urged the applicant to consider a shake roof (a roof that still exists under the current metal roof) or a metal roof. 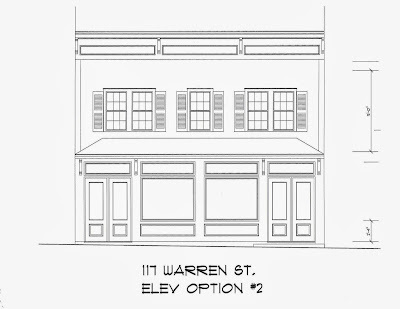 On Friday, the owners of 105 Warren Street appeared before the Historic Preservation Commission to say that they had decided to replace the existing metal roof--on the back of the house and the front--with a new standing seam metal roof. 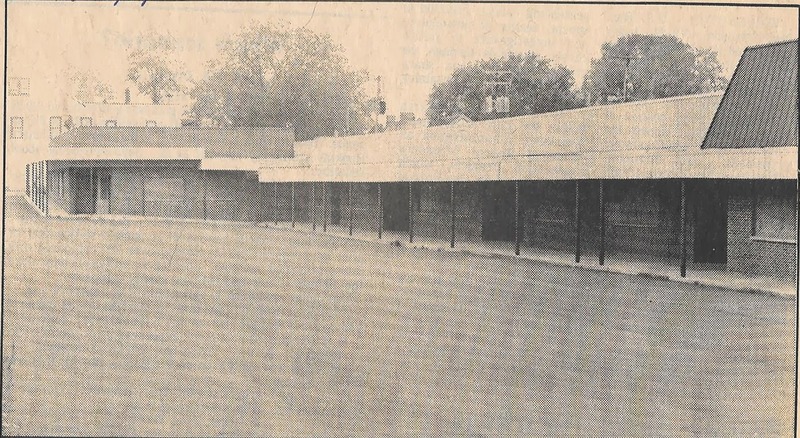 Since the roof replacement was now "like for like"--the existing metal roof was being replaced with a new metal roof--the HPC decided that the project did not need a certificate of appropriateness, even though the owner of the building wanted the HPC to grant one anyway. 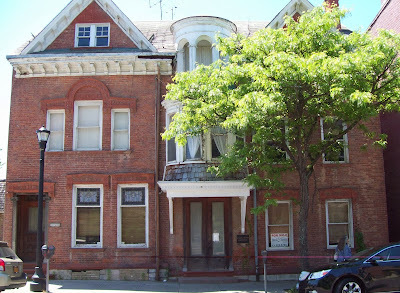 The next project taken up by the HPC was 12 Willard Place. It had been slotted third on the agenda, but because the HPC is still a member short since Scott Baldinger's resignation at the end of August, architect member Jack Alvarez rarely makes the journey from Albany for the second (essentially pro forma) meeting, Thompson had to recuse himself (it was his project), and Peggy Polenberg arrived late (as she often does), it had to be postponed until Polenberg got there to make a quorum. 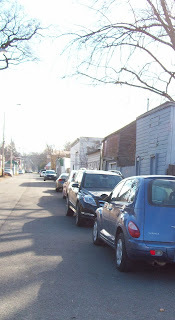 Before the HPC voted to approve the language of the certificate of appropriateness for 12 Willard Place, Ellen Thurston, who lives in the carriage house behind 335 Allen Street, two lots away from the site of 12 Willard Place, indicated that she had some questions about the process. HPC chair Rick Rector responded, "We've already made a decision. We've already approved it." Rector further advised Thurston, "This meeting is not the time for questions," suggesting that she should have been at the December 13 meeting if she had anything to say about the project. After the HPC had voted to approve the language of the certificate of appropriateness, however, Thurston was permitted to ask her questions. 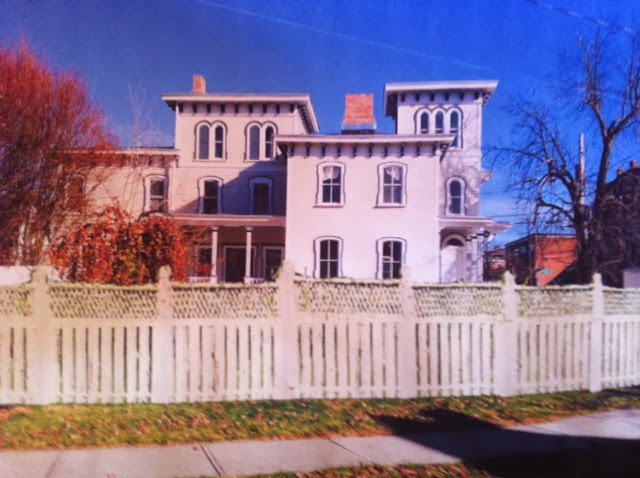 Thurston began by recalling that when the first structure at 12 Willard Place was being considered by the HPC, there was a public hearing, and she wanted to know why a public hearing had been waived this time. In their answers to her question, Rector and HPC vice chair Phil Forman indicated that the only issue with the project was the introduction of modern architecture into a historic district and that was dispensed with when the first structure was granted a certificate of appropriateness in June 2011. 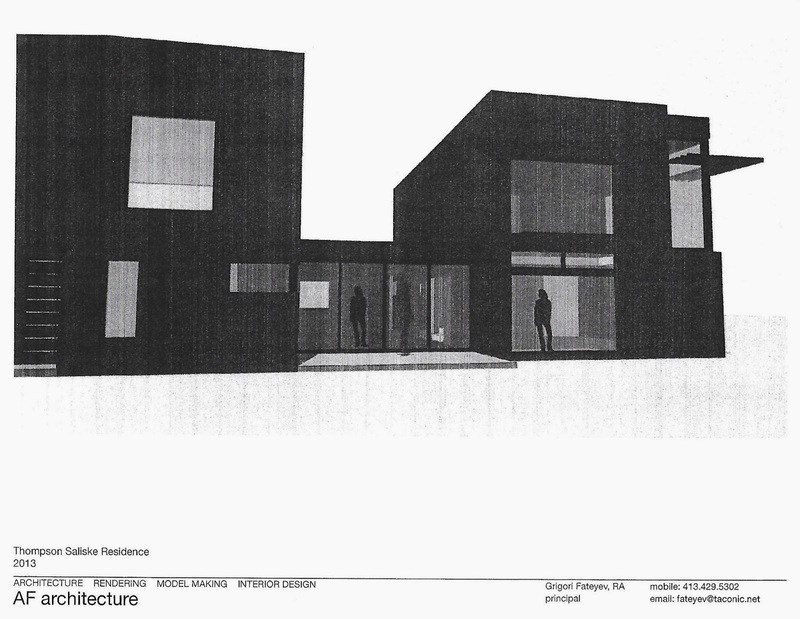 Thurston then asked if both buildings--the studio and the residence--had been proposed in the original application for a certificate of appropriateness. The question was not answered directly, but, in fact, only the studio was granted a certificate of appropriateness in 2011. In his response, Rector seemed unwittingly to explain the very reason why segmentation is frowned upon in land use planning: the addition, he said, was appropriate to what already existed and what was on the property. In other words, the studio had established the precedent, and the addition did not require similar scrutiny. 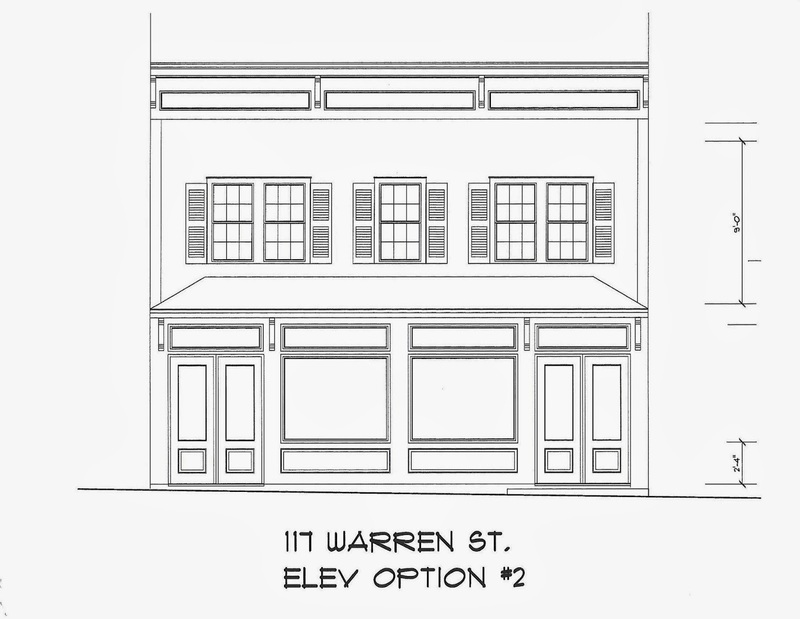 The HPC then moved on to its final application: the proposal to install columns to support the oriel at 445-447 Warren Street. To show that the oriel that originally been supported by columns, the owners produced this amazing photograph of the building taken around 1900. Instead of attempting to replicate the original columns, which had fairly ornate capitals and bases, prefabricated fiberglass columns with simple Doric capitals and bases were being proposed. 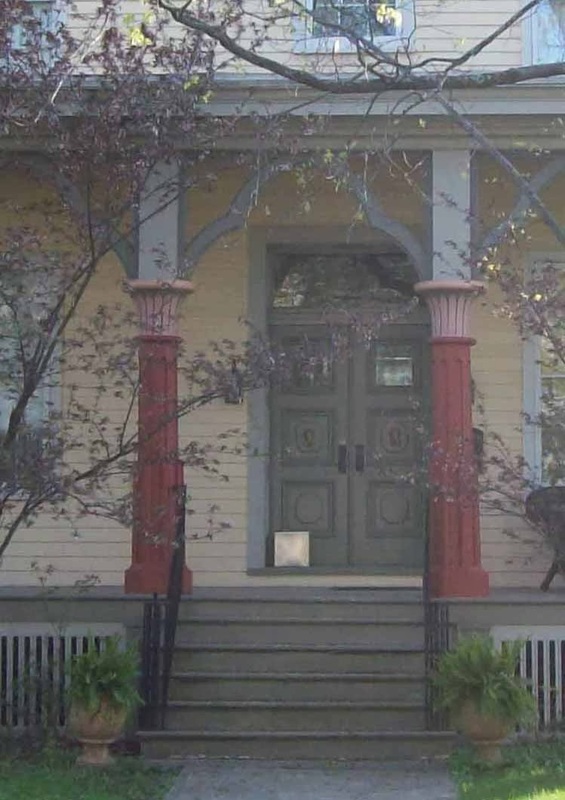 The reasons given were that it was hard to see from the photograph exactly what the design of the original columns was, and the simpler columns would better showcase the door, which is flanked by the original pilasters. Rector reminded the commission, "This is an emergency situation" (the oriel is pulling away from the building), and urged, "Let's get this building structurally sound for the community." Polenberg expressed the opinion that the proposed columns, which had been Photoshopped into a picture of the building shown to the commission, seemed "very small." David Voorhees expressed concern about the columns resting directly on the sidewalk. HPC legal counsel, Whitbeck observed that the Egyptian Revival columns on 357 Allen Street were more like the original columns than what was being proposed. Thompson talked about "two philosophies" of historic preservation, one being "to make changes obvious so there is no confusion" between what's original and what's new--a philosophy that usually applies to new additions to buildings not the replication of architectural details. Rector opined that there was "nothing worse than trying to duplicate what was there [and getting it] wrong." In the end, the HPC determined the application was complete and voted to waive a public hearing and direct legal counsel to draft a certificate of appropriateness. Rector, Voorhees, Thompson, and Forman voted aye; Polenberg voted nay. The first two parts of this century-old review, published on Thursday and Friday, constitute the first segment of the article, which appeared in the Hudson Evening Register for January 2, 1914. Today we begin the segment that appeared on January 3, 1914. 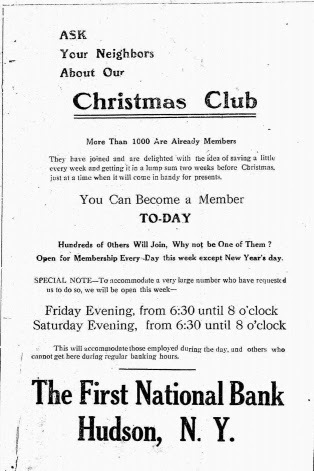 "Christmas Club," novel savings idea, put into effect by the First National bank. Assembly passed bill allowing Hudson to borrow $27,800 for street improvements. City bakeries found in very good condition by Health Inspector Armstrong. Samuel B. Coffin appointed Surrogate to fill unexpired term of George McClellan, elected to congress. Improvements made by New York telephone company here, company extending its lines in the county. Cottage at 15 Worth avenue sold to Charles Hudson, of Greenport, by Frank Mesick. 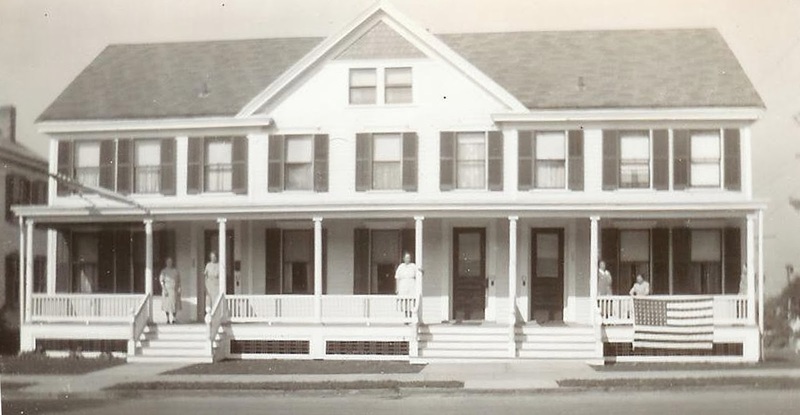 Joseph W. Lomery purchased residence at 447 State street of Miss Ellen Fitzgerald. Cooking class organized at St. Mary's Parish with Miss Lillian Randall, instructor. Final spring election for Hudson occurred in April. Hyman Miller, of Hudson, purchased George Shafer's meat market at Philmont. Columbia County Auto association formed here, experiencing prosperous year. Harold Fritts, of Hudson, purchased property of Henry Fleming in Claverack. Gifford-Wood company began erection of addition to its plant, which will be for sheet iron department. Kingman Hardware company, of 557 Warren street, added to line of hardware a stock of gasoline engines. Ice crop poor one; residents forced to pay high price for it. Ray Dallas opened grocery store on State street opposite Short street. Buildings at 252 and 254 Montgomery street, owned by Genetz Burnice, sold to Jacob Liepshutz. 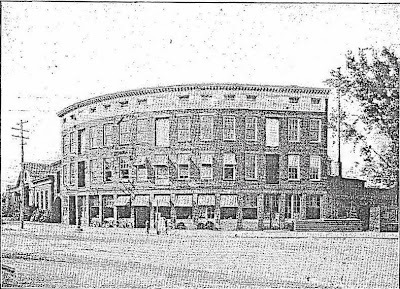 James Connelly, cigar manufacturer, occupied store formerly occupied by Ball & Co.
William Lee, laundryman, moved business from Warren Street, just above Third, to Grahne building on Central Square. 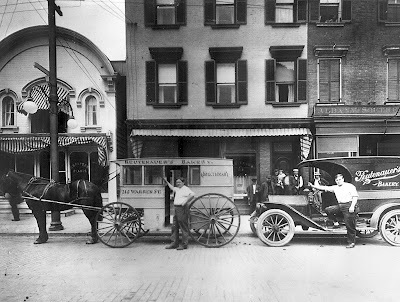 Frank A. Engel, of Hudson, began grocery business in Mellenville. Campaign to pay off mortgage and to meet the expenses of local Y.M.C.A. a success. Crego place on Fulton street purchased by Samuel Ginsberg and Harris Liepshultz, of Mrs. Joseph DeJoy. John Scelly, former Hillsdale hotel man, purchased the New St. Charles hotel on Public Square. Ferryboat George H. Power made first trip across river on March 10. John E. Gannot purchased cigar and tobacco business of Jacob Fleahman at 703 Warren Street. Wallis & Wallis, electrical contractors, opened office at 20 Park Place. Frederick A. Flick purchased autobus route between here and Philmont from W. G. Williams, later disposing of it to Shute & MacIntyre. Improvements made on interior and exterior of New Curtis House on South Front street. Railway Steel Spring company, having a branch shop here, declared a dividend of 2 per cent. This was first dividend on common stock since 1908. Yesterday, when I saw one of the parking officers walking along Warren Street, I wondered why he and his colleagues hadn't just been given a month's vacation. Parking at meters was free for the month of December. How many chances would they get to issue tickets? 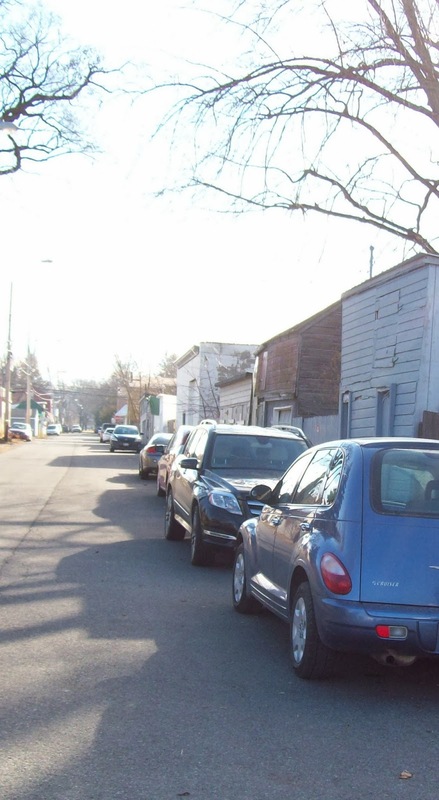 This morning, a reader reported that on Partition Street, which is often treated more like an alley than a street and people tend to be more casual about parking, a parking officer was issuing $15 tickets to cars parked heading in the wrong direction. You can't keep people from doing what it's their job to do. 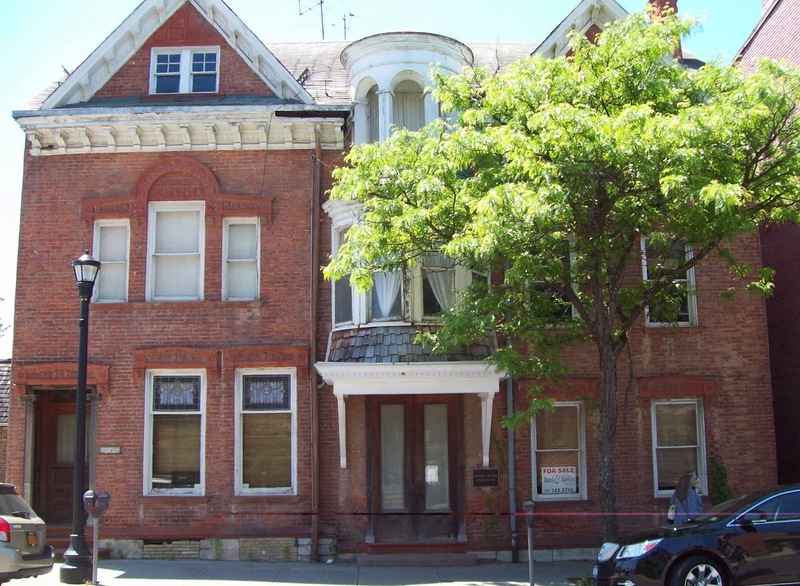 At their meeting on December 19, the board of HCDPA (Hudson Community Development and Planning Agency) passed a resolution to accept sealed bids for the purchase of 208 Columbia Street, which would be due by noon on December 24. 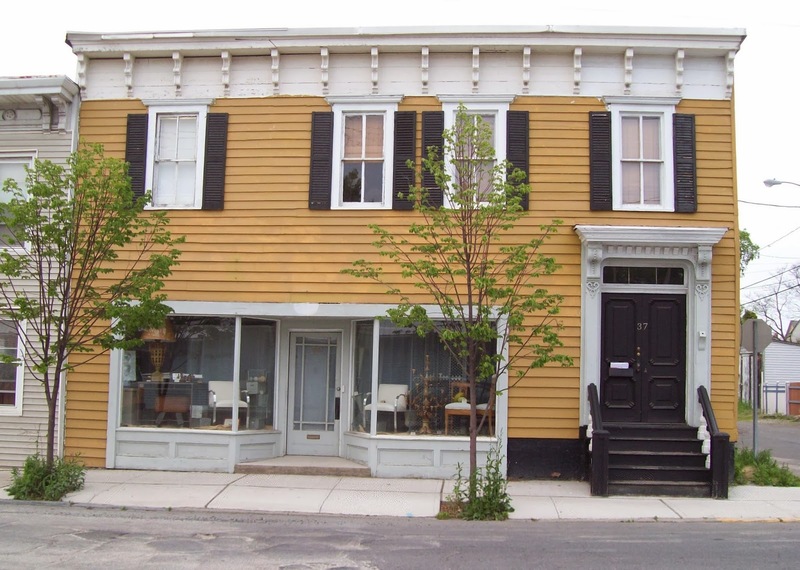 NOTICE: Seal Bid Announcement for Sale of 208 Columbia Street, Hudson, NY and Special Mtg Notice Hudson Community Development and Planning Agency (HCDPA) will sell property located at 208 Columbia Street for the purpose of construction of low to moderate income housing. Successful bidders must demonstrate competency and a proven track record of development and construction of low to moderate income housing. Information about the property may be obtained through HCDPA located at 1 Front Street, Hudson, NY. Bids are due by noon on December 24, 2013. Bids will be opened at a special meeting of the HCDPA board to be held City Hall, 520 Warren Street, Hudson, NY at noon on December 24, 2013. The purpose of this meeting is to select a successful bidder for the purchase of 208 Columbia Street and to conduct and [sic] environmental review of such sale prior to award of the bid. Habitat for Humanity submitted the only bid for 208 Columbia Street. The bid submitted was $5,000. The Board voted to accept the bid and passed a resolution. Habitat provided a 10 percent deposit to be held in escrow until closing. The last step is to obtain Council approval for the sale of 208 Columbia and the lease at 202-204-206 Columbia to Gardens. Asked if four days had been adequate public notice, Salvino explained, "There is no minimum time requirement for public notice." 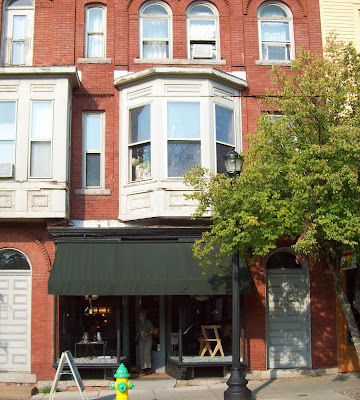 In the 2013 Final Assessments and Parcel Inventory, the full market value of 208 Columbia Street is given as $25,500. 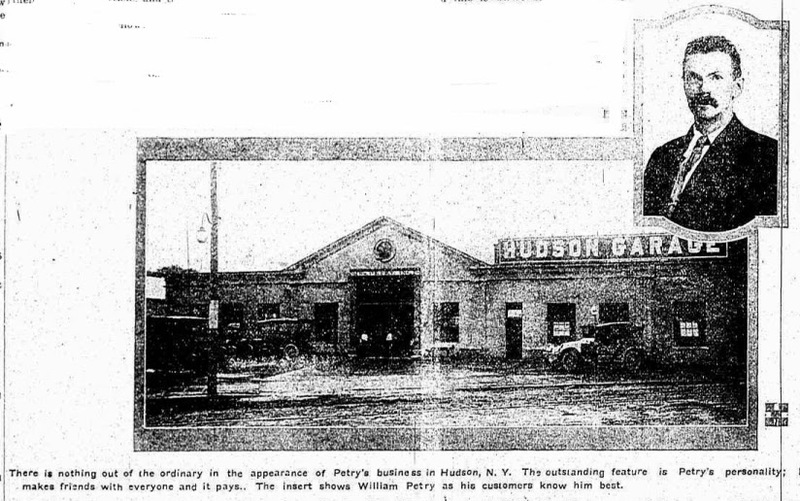 The last time we reported an addition to the Galloway Gallery of Hudson properties, Harmon's Auto Repair on Third Street between Partition and Union, we labeled it Exhibit 46, so this latest acquisition must be Exhibit 47. Trying to pin down the exact number of properties in Hudson owned by Eric Galloway, his LLC or NFP, can get confusing. Consulting the 2013 Final Assessment Roll, as Gossips did in June, reveals a total of 50 properties owned by T. Eric Galloway (2), Galvan Partners (6), and Galvan Initiatives Foundation (42), but that list doesn't include some of the more recent acquisitions. The reason for the discrepancy is that some parcels thought of as one property appear in the tax rolls as more than one. For example, the vacant lot in the 200 block of Union Street, where 900 Columbia Street is to be "reassembled," is listed in the tax rolls as three different parcels: 215 Union, 217-219 Union, and 216 Partition. Whether it's 47 or 50-something, another property is rumored to have been acquired by Galloway, Galvan Partners, or Galvan Initiatives Foundation: the COARC building, which occupies most of the south side of the first block of Warren Street. This building stands as a monument to wrong-headed urban planning. It was meant to be a shopping center, with off-street parking, to lure people back to Hudson from the strip malls that were erupting along Fairview Avenue in the late '60s and early '70s. An entire block of 19th-century buildings, with the exception of one, was demolished to make room for this bad idea. In 1975, a developer from Schenectady named Howard Goldstock built the one-story complex--totally out of character with the surrounding neighborhood--and dubbed it Parkview Plaza. (It's close to Promenade Hill, dontcha know.) Goldstock promised to fill the plaza with retail businesses--an anchor store at the east end and smaller shops in the remainder, but he never made good on that promise. 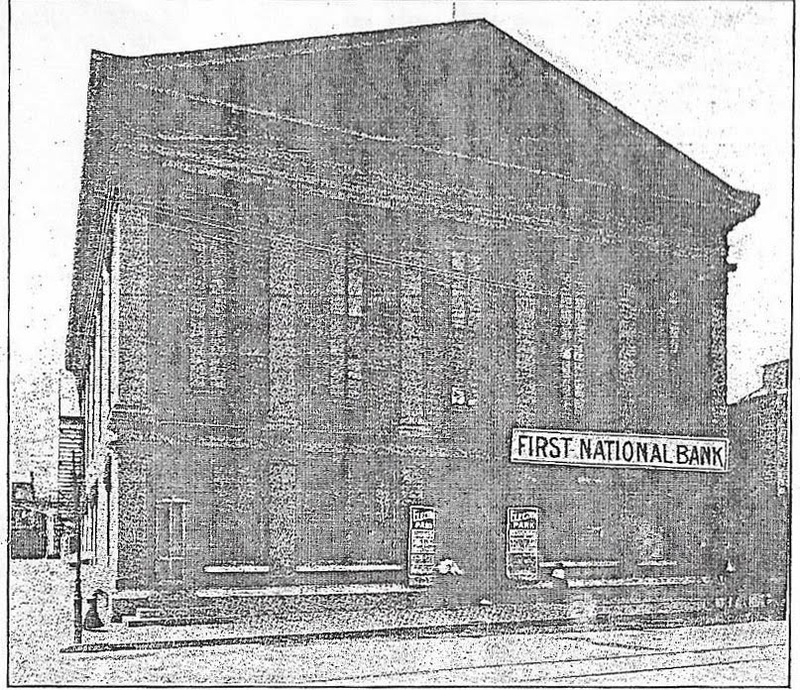 In 1978, after a lengthy foreclosure proceeding, the building, still unfinished, was sold at public auction on the steps of the Columbia County Courthouse as, to quote the Register-Star from August 3, 1978, "disinterested county employees and visitors strolled by." The buyer, who paid $200,000 for the three-year-old white elephant, was the Hudson City Savings Institution, the very bank that had originally financed the project. 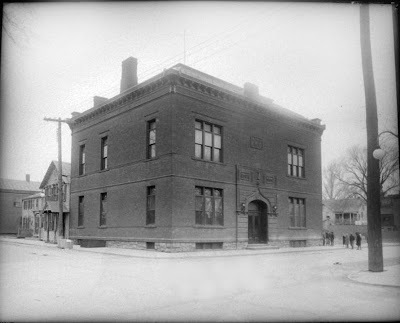 (The Hudson City Savings Institution, chartered in 1850, morphed into Hudson River Bank & Trust in 1998 and was sold to First Niagara in 2005.) William Fisher, who was mortgage operations vice president for HCSI at that time, was quoted in the Register-Star as saying, "We are now pursuing all avenues to try to come up with a viable use [for the building] that will be mutually beneficial to the community and the bank." In 1981, COARC established Promenade Hill Center, a day activity program, in the building. Thirty-three years later, one wonders what Galloway's plans for the building might be. Yesterday, Gossips began presenting a series of articles that appeared in the Hudson Evening Register in the early days of 1914. 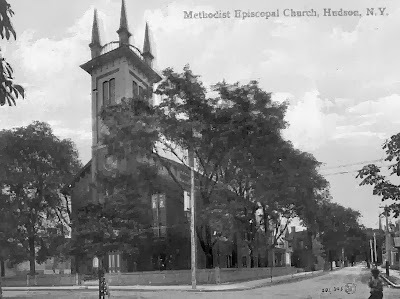 They inventoried the improvements and developments that had taken place in Hudson during the previous year, 1913. Today we continue this century-old review, with the addition of illustrations and annotations. 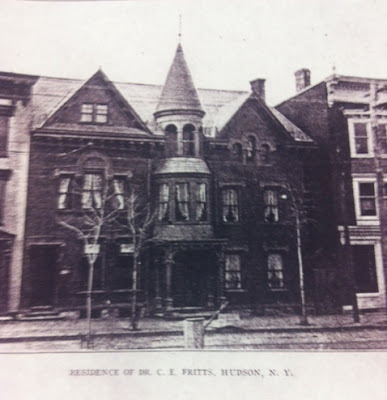 Walter H. Burch purchased two-story building at 549 Prospect street of William H. Malone. 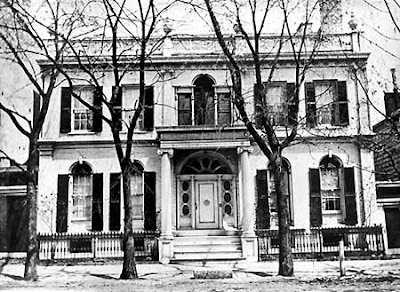 Wilson H. Moore purchased property at 239 Warren Street of the Misses Mary and Emma H. Rogers. Children's play room established in Allen street school under direction of Rev. Hamory. Grocery business of Charles T. Ball at 235 Warren Street and Mena Hahn at 14 South Front Street, discontinued. Improvements made to interior and exterior of N[ew] Y[ork] C[entral] depot. Fred Wheeler disposed of cafe at 713 Warren street to Joseph Orris, who later sells establishment to John Finley. The New York Times has an article today about the efforts of independently owned theaters in the Adirondacks to respond to the mandated switch to digital technology: "Small Theaters in Adirondacks Face Choice in Switch to Digital: Pay or Perish." Meanwhile, Hudson's only locally owned independent theater (just across the border in Greenport) faces the same "pay or perish" dilemma. Last August, theater owner Bruce Mitchinson invested $80,000 to equip one of the three theaters at Fairview Cinema 3 with a digital projector and sound system, with the capacity for 3D, but in order to be profitable, the other two theaters need digital equipment as well, which Mitchinson has estimated will cost another $100,000--more than he can afford. Fundraising efforts by Friends of Fairview Cinema 3--the premiere of Fighting for Freedom, the Dinner and a Movie screening of Odds Against Tomorrow at Basilica Hudson, and most recently the two Breakfast and a Movie screenings of It's a Wonderful Life--have brought in about $12,000 for the projector fund, and a gofundme campaign launched by Kristen Decker, whose grandmother worked as the cashier at Fairview Cinema 3 for many years, has so far raised another $535. There's still a long way to go. Without the umbrella of a not-for-profit, Fairview Cinema 3 is not eligible for the state grants that have bailed out many of the movie theaters in the Adirondacks, but Mitchinson and the Friends of Fairview Cinema 3 are determined to see it through. The Register-Star reports today that, despite the fact that HDC (Hudson Development Corporation) has written off the $13,000 still owed as a bad debt, Quintin Cross said, apparently on Christmas Day, that he is "in negotiations with the Hudson Development Corp." to continue paying the restitution ordered in 2007: "Cross plans to make good on restitution." The original amount was more than $16.000; about $3,000 has been repaid so far. 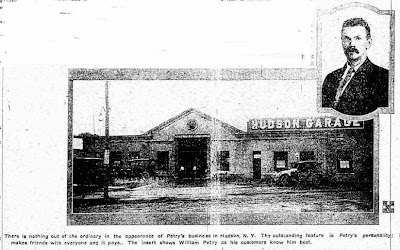 In the first days of 1914, the Hudson Evening Register published, over the course of several days, a "General Review of Many of the Important Developments" that had taken place in Hudson during the previous year, 1913. The review, which began on January 2, 1914, provides a compelling snapshot of Hudson a century ago. Over the next few days, Gossips will reproduce this review, with illustrations and annotations to help readers relate the developments of a century ago to today. Improvements, Commercial and Labor Conditions. A general review of the improvements, labor conditions, commercial developments, introduction of new enterprises, financial situations, etc., arising in this municipality during 1913, indicate but one thing--a year of prosperity and progress, of which this city is perfectly justified in being proud. Despite an apparent slackening in some industrial lines throughout the country, Hudson is more than holding its own, and present circumstances denote another prosperous year for 1914. The improvements made here during the past twelve months were many and appropriate in almost every respect. The city is in a position to boast of one of the best street lighting systems in the State for a municipality of its size, installed last fall by the Albany Southern Railway company. This system thus far is meeting with entire satisfaction, apparently, and is receiving numerous compliments from various towns along the Hudson valley. Then, too, lower Warren and South Front streets were repaved, adding much to the general appearance of the city, and the installation of a new town clock in the tower of the Presbyterian church tended to put a better effect upon the city at large. Various parks were considerably improved, and there was plenty of repairing and relaying of sidewalks, especially in the lower part of the town. The relaying of a new track for the local streetcar was completed; the fire alarm improved somewhat, while numerous business houses were overhauled, repainted and placed in better condition. Real estate transfers, constructional work for dwellings, etc., experienced a "boom" somewhat during the year, more constructional work occurring than during the preceding twelve months, it is understood. This is another evidence of satisfactory conditions existing. The wheels of industry revolved very successfully. The Union Mills, the Swansdown mill, the Hudson Fibre company, C. H. Van Deusen Co., the Granite companies, the Gifford-Wood plant, the Railway Steel Spring company, the C. H. Evans & Sons, etc., together with the two big cement plants just over the city line in the town of Greenport, operated practically the entire twelve months, paying good wages, employing hands to their full capacity and operating extra to fill the large number of orders. These manufacturing institutions furnished food, clothing and exisence [sic] to almost half of Hudson's population. 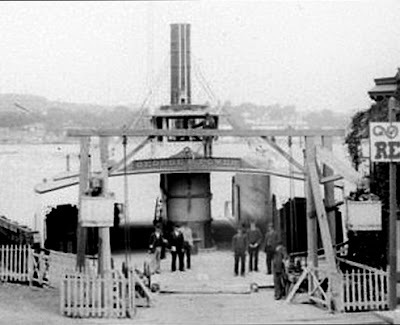 Among the new enterprises was the incorporating of the Mechanical Handler company, which is erecting a big plant near the B. & A. railroad, along the State road, south of the Albany Southern car barn. Then there was the mapping cut of the new building lot sites, and an addition to the Gifford-Wood plant started. 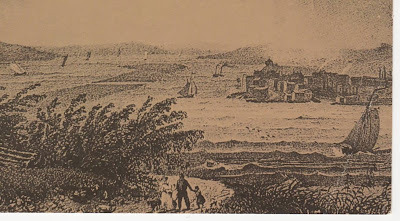 A movement was started to make Hudson head of sea-going navigation on the Hudson river, and the construction of a new high school building begun. Then, too, a Civic league was organized, which is doing excellent work toward the welfare of the municipality. Another ice company has displayed itself, and is now erecting a large house down town. Earl Heermance received wireless license in the radio service. Service of noon-day meals at Hudson High schools inaugurated. Latest model of dust collectors placed on kilns of New York & New England Cement plant. 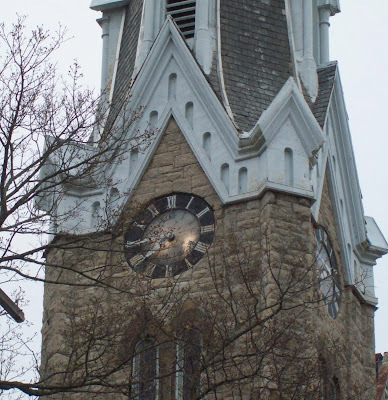 New town clock placed in tower of Presbyterian church. 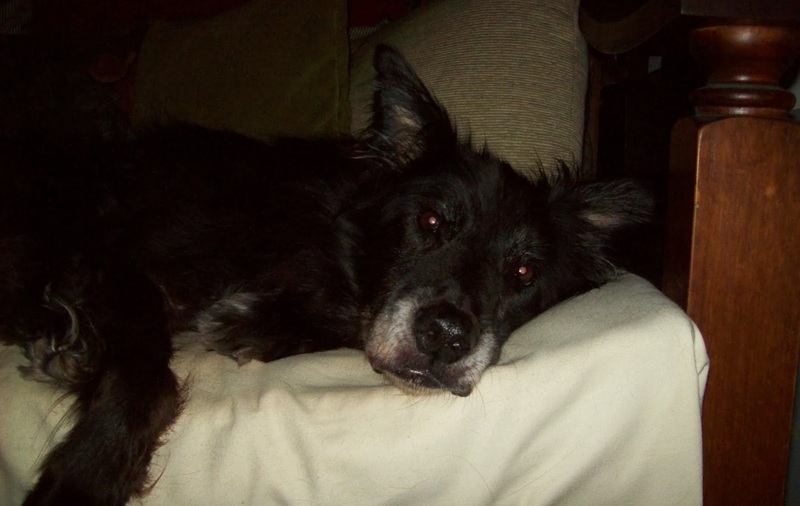 On Christmas Eve, as he settles down for a long winter's nap and waits for a visit from St. Nicholas, William shares this wish for all his dog friends: "May you be exactly where you want to be this Christmas--not alone in some kennel or pet resort, but at home with the people you care about the most. Happy Christmas to all, and to all a good night!" On Sunday, a reader sent me the link to an article in the New York Times Style Magazine, T: "By Design: The 10 Best Pieces at This Year's Design Miami." Two of those ten best pieces--20 percent!--were shown by galleries located here in Hudson: Gerd Rothman jewelry by Ornamentum and Walter Lamb seating by Mark McDonald. Design Miami, subtitled "The Global Forum for Design," took place earlier this month--December 4-6. It is the sister fair to Art Basel Miami Beach and attracts an international audience of collectors and curators. Of no small significance, when Ornamentum first started showing at Design Miami in 2008, it was the first jewelry gallery of any kind to be accepted into the venue. 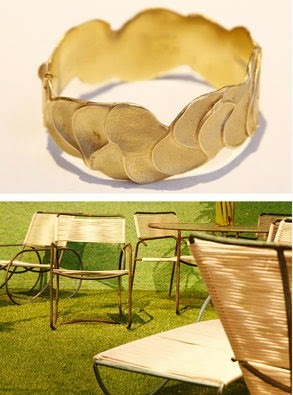 Ornamentaum also regularly exhibits at Design Miami/Basel, which takes place in June in Switzerland. Kudos and gratitude to Ornamentum and Mark McDonald for representing Hudson with such distinction at this major international design event. Looking for a uniquely Hudson gift for someone who has everything? 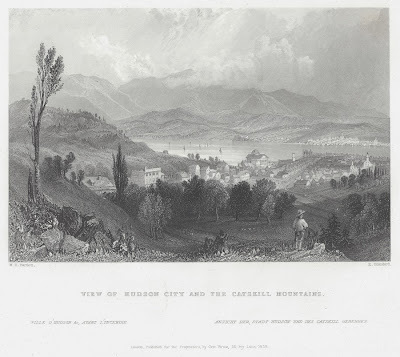 Gossips recently got word that note cards featuring W. H. Bartlett's 1840 engraving of Hudson, viewed from atop Mount Ray, are now available at Sketch, 701 Warren Street, and Stoddard Corner Bookshop, 757 Columbia Street. 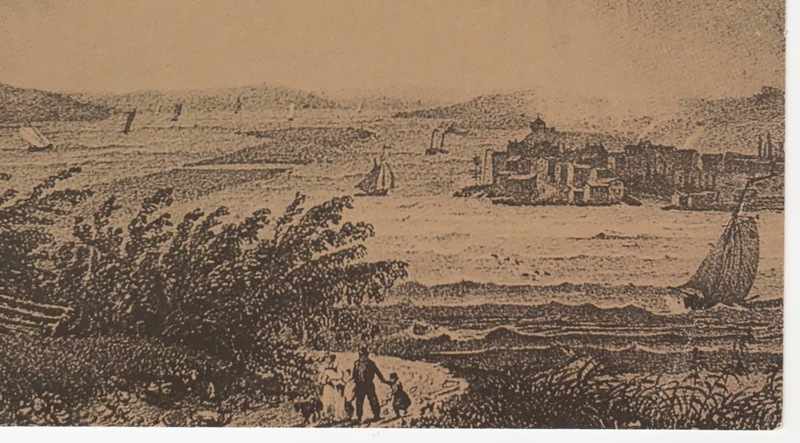 An original copy of the engraving, a detail of which is used in The Gossips of Rivertown masthead, is also available at Stoddard Corner Bookshop. Perhaps because of the snow emergency or the controversy over the lots at Second and Columbia streets or the early morning drug raid, but more likely because Gossips isn't on HCSD's distribution list for press releases, we missed the news that the New York State Education Department has given partial approval to "The Bridge." 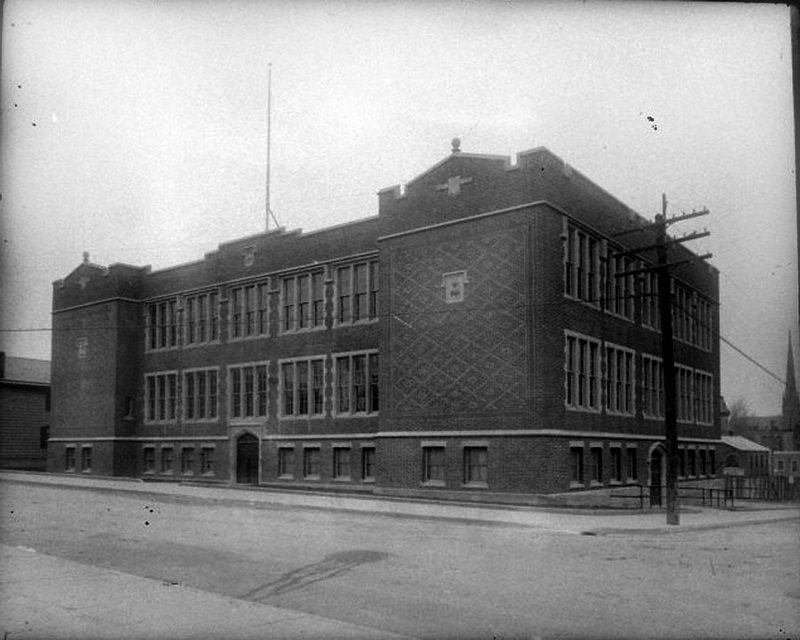 It may happen that, as soon as the beginning of the new year, up to 45 sixteen-year-olds from the Hudson City School District and the Catskill Central School District "who are at risk of dropping out of school or have dropped out of school" will be attending school at 364 Warren Street, in an Alternative Transition Program, and that HCSD special education students who are now bused to Berkshire Union Free School in Canaan will also be attending classes at 364 Warren Street. You can read more about it in the Register-Star: "SED OKs C-G Partnership Academy"; and The Columbia Paper: "State gives partial OK to Hudson's Bridge program." A reader alerted me to this feature in Metrosource about Lady Gaga's s recent album, ARTPOP. It identifies Marina Abramovic, "grandmother of performance art," as Lady Gaga's muse and speaks of the Marina Abramovic Institute as if it already existed. In his book Historic Hudson: An Architectural Portrait, Byrne Fone included, on page 48, this image of the Hudson waterfront. 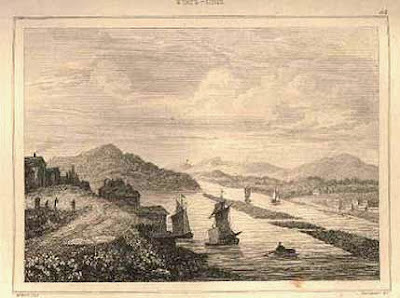 The engraving, which is from the collection of the Columbia County Historical Society, is by Jacques Louis Milbert and shows the view from the north, looking south. The Parade, now known as Promenade Hill, appears in the left foreground. This morning, Fone sent me this image of the Hudson waterfront, also an engraving by Jacques Louis Milbert, also c. 1820. In this engraving, the view of Hudson and the river is from Mount Merino, looking north. I've seen the movie probably a dozen times, but nothing beats the experience of seeing it, pristine, on a big screen. The humanity, the great humor, and Jimmy Stewart, larger than life. 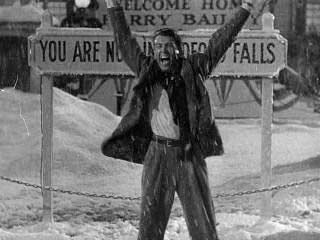 It's such fun to experience what a fine actor he was--and what a great artist Frank Capra was. The movie starts at 10 a.m., but come anytime after 9:30 to get your coffee and cake and settle in to enjoy this memorable holiday experience. 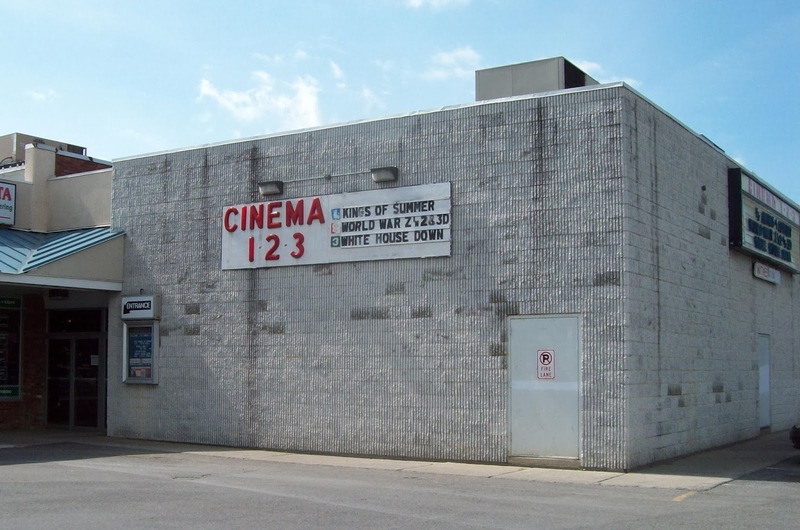 A donation of $25 is suggested to help our only locally owned, hometown movie house (just across the border in Greenport) survive the switch to digital. Enjoy a happy ending and be part of making another one happen! Hudsonians woke up on Friday morning to the sound of helicopters overhead. It was soon learned through social media that a major drug raid was underway. It was the middle of the afternoon before the details were disclosed in a press conference at the Hudson Central Fire Station. The early morning raid was the culmination of a narcotics investigation that began in March. At the press conference, Ed Moore explained that just days after he was sworn in as the new chief of the Hudson Police Department, he sought state police assistance in addressing the city's drug problem. "People I have talked with," he said, "have less and less tolerance for the sale of drugs," which he called the catalyst for muggings, burglaries, and thefts in Hudson. He spoke of the raid as sending a message: "If you set up a drug business in this city, you will be at risk." The operation was carried out with the New York State Police Community Narcotics Enforcement Team (CNET), with assistance from the Columbia County Sheriff's Department and the Catskill Police. Moore stressed that every Hudson police officer was involved in some way in surveillance and intelligence gathering and all had volunteered for duty on Friday. He mentioned in particular the key role played by narcotics detective Jason Finn. Moore reported that of the twenty people targeted in the raid, nineteen had been arrested and the twentieth was part of an active investigation. The drugs involved were heroin and crack cocaine. The mugshots of eighteen of those arrested can be viewed here. Four were arrested at four different locations in Greenport, one was arrested in Catskill, and the remainder were arrested in several different locations in Hudson. News Channel 13's coverage of the story can be viewed here. The Register-Star video of the press conference can be viewed here. Alderman-elect Tiffany Garriga (Second Ward) came to the press conference to complain about the use of helicopters. She said the sound of helicopters overhead frightened children and made Hudson seem like Afghanistan. She questioned the need for helicopters, saying they had not been used in drug raids in the past. It was explained that it is CNET procedure to use helicopters to provide emergency and visual support for officers on the ground. The Solomon like resolution to the controversy over the lots at Second and Columbia streets, developed over the past twenty years as a community garden and now sought by Habitat for Humanity to complete its "build out" of Columbia Street, was predictable: 202, 204, and 2o6 Columbia Street will go to Hudson Urban Gardens (HUG); 208 Columbia Street--a lot slightly larger than the other three lots combined--will go to Habitat for Humanity. Sheena Salvino, executive director of HCDPA (Hudson Community Development & Planning Agency), made those recommendations at the outset of last night's HCDPA meeting, but it took the board more than an hour, part of which was spent in executive session, to decide to act on those recommendations. Mayor William Hallenbeck, who sits on the HCDPA board, seemed persuaded that such a compromise could not be reached. He talked about the amount of effort and time, especially "the mayor's time," that had been devoted to the issue and complained that HUG had rejected every alternative offered--among them plots in Charles Williams Park, across State Street from Bliss Towers, and at Montgomery C. Smith School. "What sense would it make," he asked rhetorically, "to offer a motion to split the lots, if the garden won't accept it?" 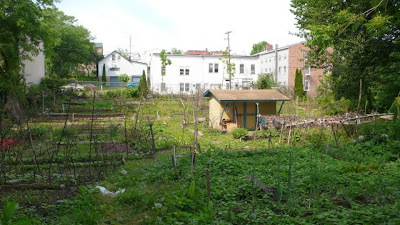 Responding to Hallenbeck's question, Alderman Cappy Pierro (Fifth Ward), also an HCDPA board member, surmised, "What you're telling us is the garden wants it all or nothing." He then spoke of the City's "obligation" to Habitat for Humanity. "We're running out of space," he said. "We have to come up with more space so Habitat can fulfill their mission." To Pierro's comment, Salvino responded, "We don't need to be beholden to Habitat," and suggested that solving Hudson's housing issues required a much larger housing strategy than "piecemeal putting houses in." When Vanessa Baehr, director of the community garden, who repeatedly tried to be recognized to respond to Hallenbeck's characterization of HUG's position, finally got a chance to speak, she denied, "just for the record," that HUG had taken an "all or nothing" position. She also commented on what seemed to be the board's favorite alternative location: a strip of land behind the Habitat houses on Mill Street, which is part of Charles Williams Park. She noted that, although the location was being described as just a seven-minute walk from the garden's current location, the walk involved negotiating the very steep hill on Second Street, which would be difficult for people carrying children, gardening tools, and garden produce. [Gossips Note: The foot path down to Charles Williams Park from the north end of Third Street, involving lots of switchbacks to make it suitable for wheelchairs, which was part of the original plan for developing the park, has never been constructed.] Baehr also pointed out that the proposed alternative used to be a clay mine and "you can't grow vegetables very well in clay." Hallenbeck, who seemed determined to resolve the problem at that meeting, became annoyed when city attorney Cheryl Roberts began quoting Section 507 of New York State General Municipal Law, which deals with the disposal of publicly owned property. One of the requirements specified in the law is notice in the newspaper that you wish to sell a property. Roberts observed, "In the past, what you have done is just given the property away"--something not permitted by General Municipal Law. Hallenbeck wanted to know why this discussion had not happened two weeks ago and at one point petulantly made a motion to adjourn the meeting. The motion was not seconded, and the meeting continued, but when conversation moved toward determining fair market value for the lots, the board went into executive session. Twenty minutes later, when the meeting was reopened to the public, the HCDPA board voted on two resolutions. 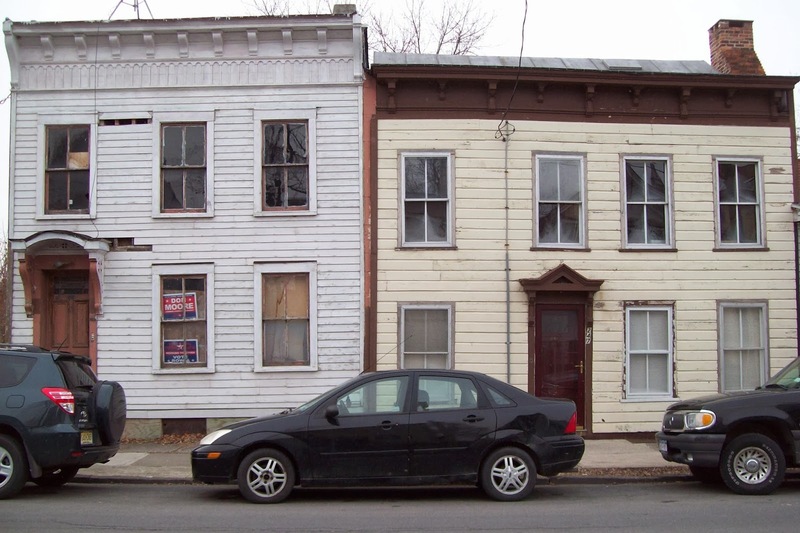 The first dealt with 208 Columbia Street and determined that sealed bids for 208 Columbia Street must be submitted before noon on December 24. The assumption seems to be that Habitat for Humanity will be the only bidder, but presumably anyone can submit a bid for the lot. John Mason reports in the Register-Star that Salvino told him after the meeting, "We are accepting the most responsible bid that coincides with the mission of this agency." The second resolution was an agreement to lease 202, 204, and 206 Columbia Street to Hudson Urban Gardens for one year, from January 1, 2014, through December 31, 2014, for an annual payment of $1,000. It was not clear if the lease agreement will contain the option to buy the property, which HUG seeks. How Often Do You Get a Second Chance? Don't Miss It's a Wonderful Life! If You Can't Go Home for Christmas . . .
Are You Missing the Farmers' Market? How Will You Know If You Don't Ask?